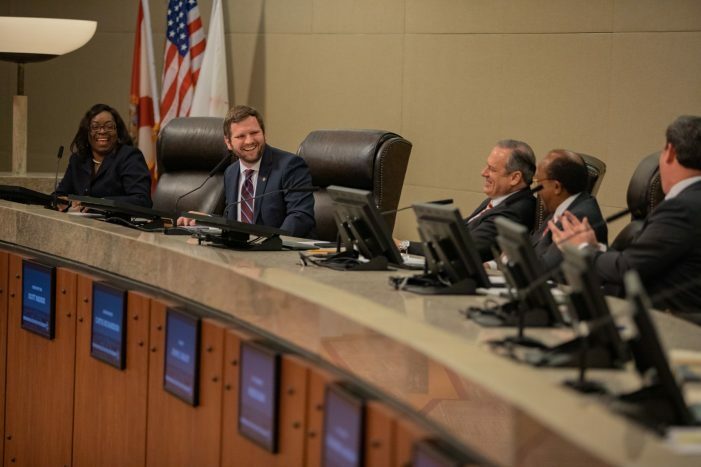 On Wednesday, newly elected Tallahassee Mayor John Dailey will ask the City Commission to support his campaign promise to move the management of the state and federal lobbyists contracts out of the Mayor’s Office. In the past, the management of the contracts involved city employees who were hired by the mayor. These employees would evaluate the proposals for providing lobbying services and submit recommendations to the full City Commission. Dailey believes his proposal will provide more transparency and accountability to the process. The contracts, which total approximately $180,000 on an annual basis, have been awarded to the same contractors for the last 10-15 years. Adding to the controversy is that the winning businesses have been major donors to the mayoral campaigns of former mayors John Marks and Andrew Gillum – the eventual winners and administrators of the lobbyist contract process. In addition, one of the city lobbyist on state issues, Sean Pittman, was instrumental in the mayoral campaigns of both Mayor Marks and Mayor Gillum. In 2016, Mayor Andrew Gillum’s office recommended the highest bidder receive the general state lobbying contract and the city electric utility lobbying contract. In 2015, the Mayor’s office recommended, and the City Commission approved, a one year extension for the lobbyist contracts that were awarded in 2012. During the meeting some members of the City Commission verbalized concern about the process.